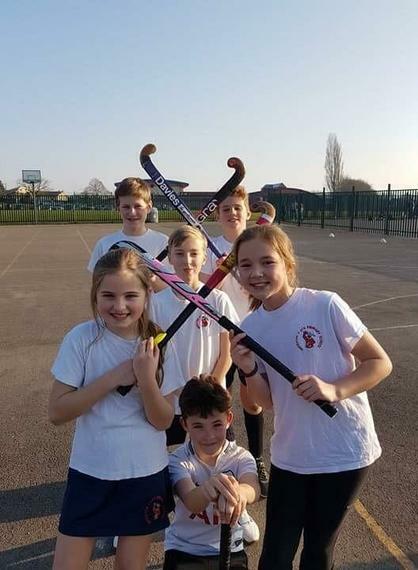 Matilda, Ed, Bethany, Luke, Digby and Jamie represented Sherston Primary School at the Y5/Y6 area hockey championships. The event was held at Malmesbury Secondary school and there were 20 schools in attendance. The team started with a convincing 6-1 win over Oaksey and the next two games resulted in a 4-1 wins. After a nail biting 2-1 win against Sutton Benger the team went through to face Crudwell in the final. Great teamwork, perseverance, encouragement and support for each other paid off and Sherston won the final game 2-1!